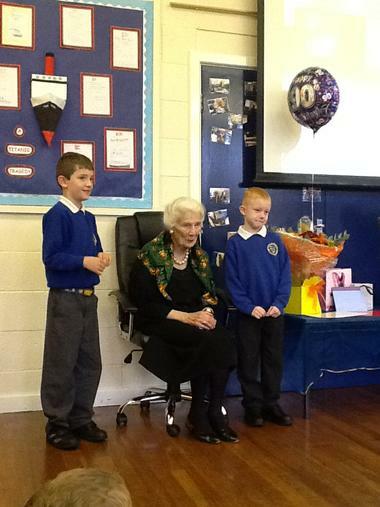 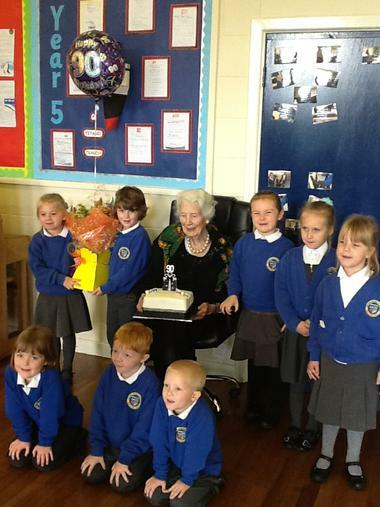 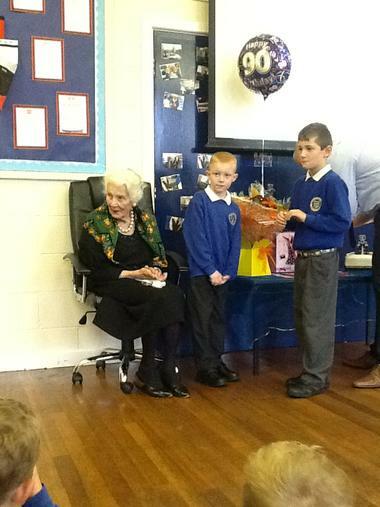 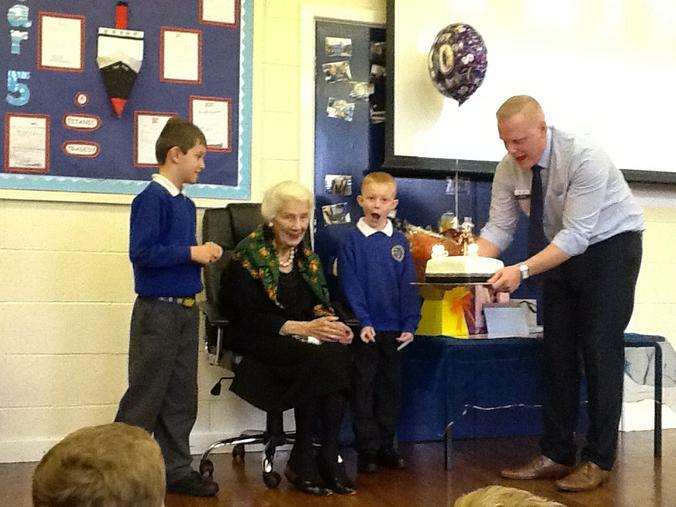 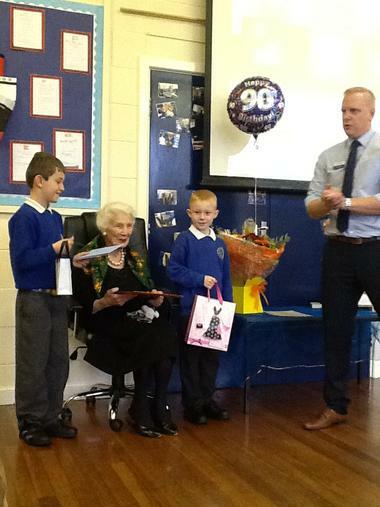 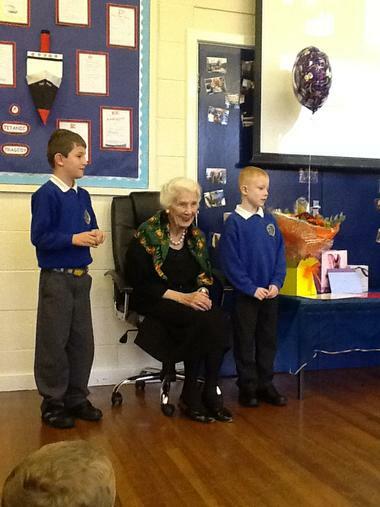 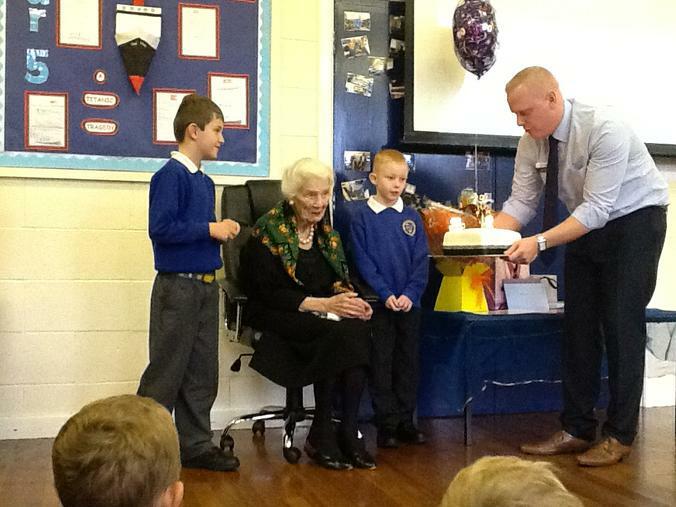 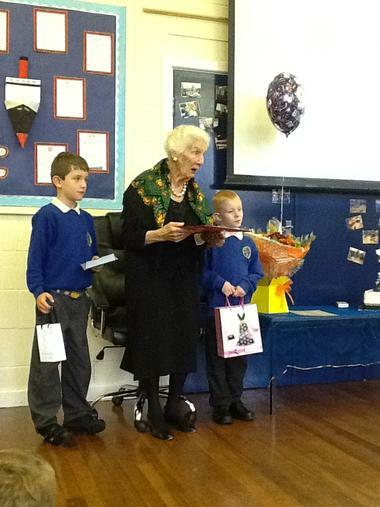 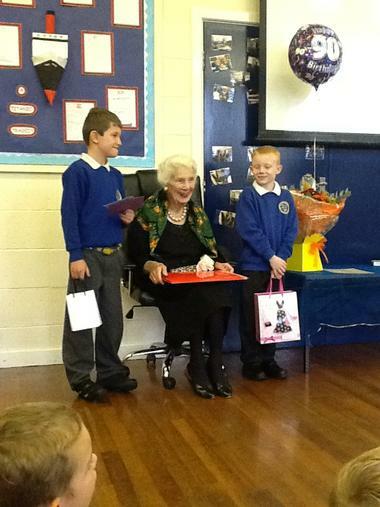 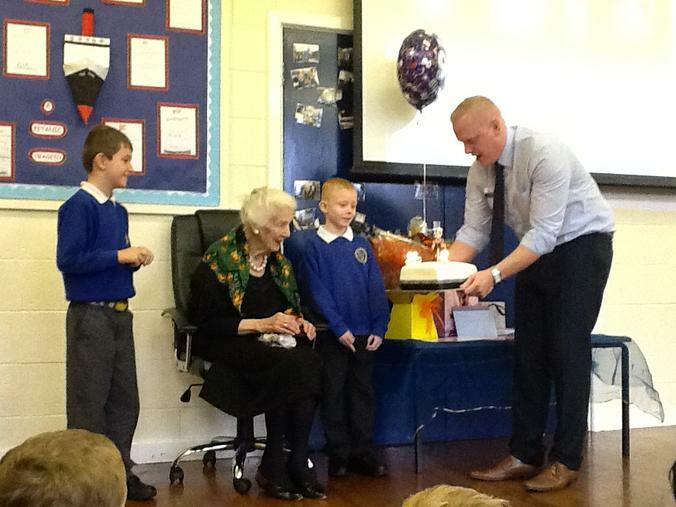 The whole school wanted to be able to celebrate Mrs Vestbirk's 90th birthday. 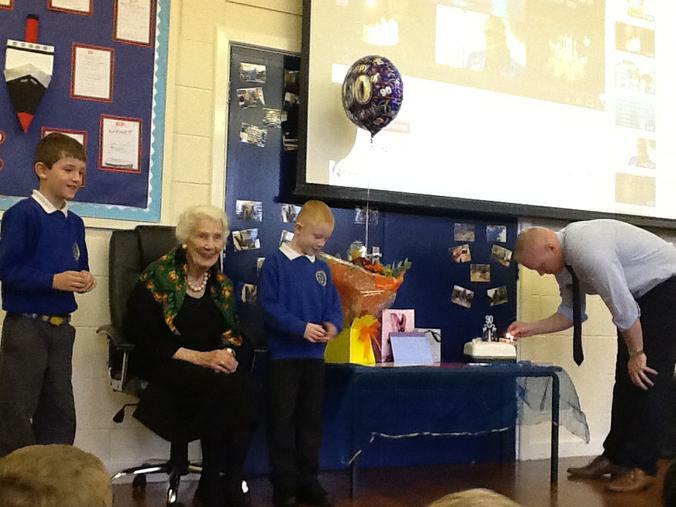 With singing, flowers, presents and birthday cakes Mrs Vestbirk was truly moved by the kind words of Mr Booth and the rousing singing from the children. 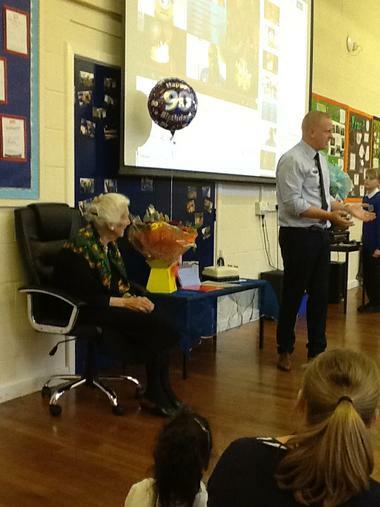 Mrs Vestbirk has volunteered in school over the last 20 years and has left a lasting impression on so many children. 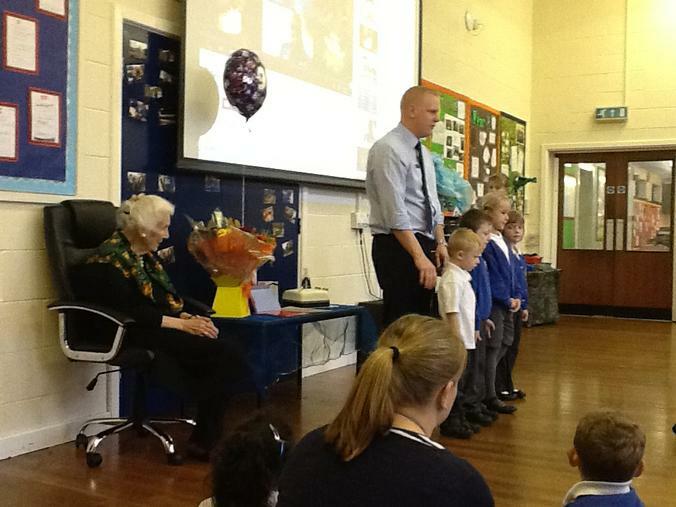 She said today " that the childrens' smiles were enough to keep her coming back". 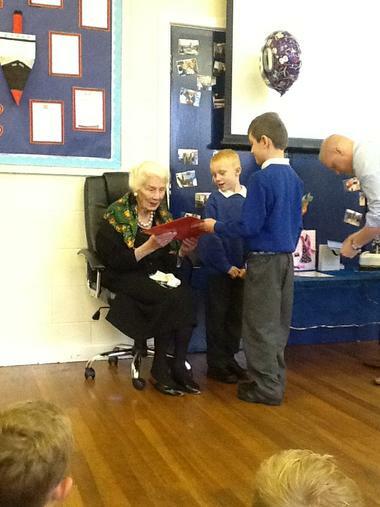 Mrs Leggate also put pen to paper to write a beautiful poem for this special occasion. 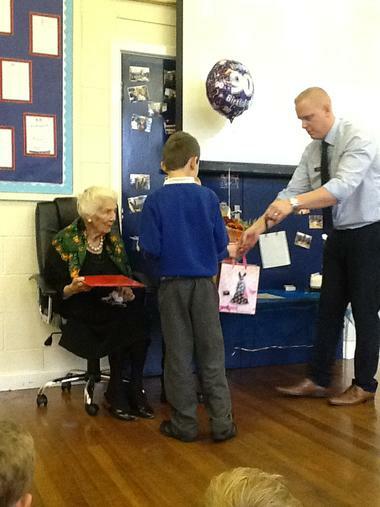 Please click on the link below to read it.